"More than a little humour. Don't pass it by." 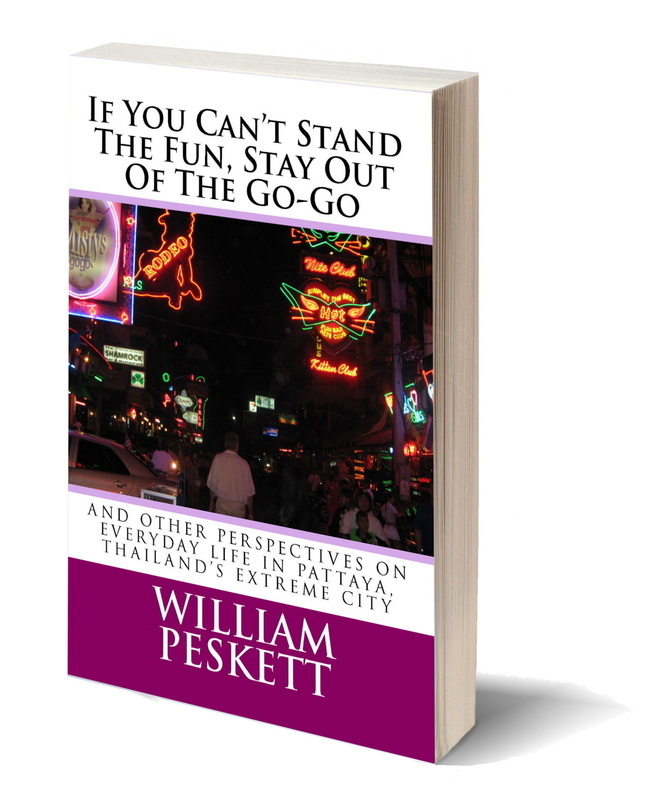 _Go-go bars as a cultural asset, dentists, chicken’s feet, soapy massage, trousers, being struck by lightning, tattoos, luck, breast enhancements, beards and being a foreigner—these are just some of the aspects of living in Pattaya, Thailand’s most exciting city, that come within range of this lively and revealing book. Originally published in the leading fortnightly Pattaya Today, each chapter takes a light-hearted but incisive look at the quirky side of living in a city that is unusual even by Thai standards. Local characters come and go, but none receives closer attention than the author’s long-suffering wife whose innocence provides the perfect balance for her husband’s merciless wit. For those who want to know what it’s really like living in paradise, or for those fellow residents who want to compare notes with another foreigner filled with wonderment, joy and occasional confusion, If you can’t stand the fun, stay out of the go-go is the perfect Pattaya primer. Available as an e-book, audiobook and a 196- or 200-page paperback, depending on edition.